We found a hedgehog by our front gate one day. Honey was fascinated and tried to nudge/sniff it. She wasn’t impressed by its prickles! The next evening when we went out for our walk it was in a neighbour’s garden and Honey wanted to sit and watch it rather than go for a walk. Winter’s arrived and we’ve begun to use the wood burner. 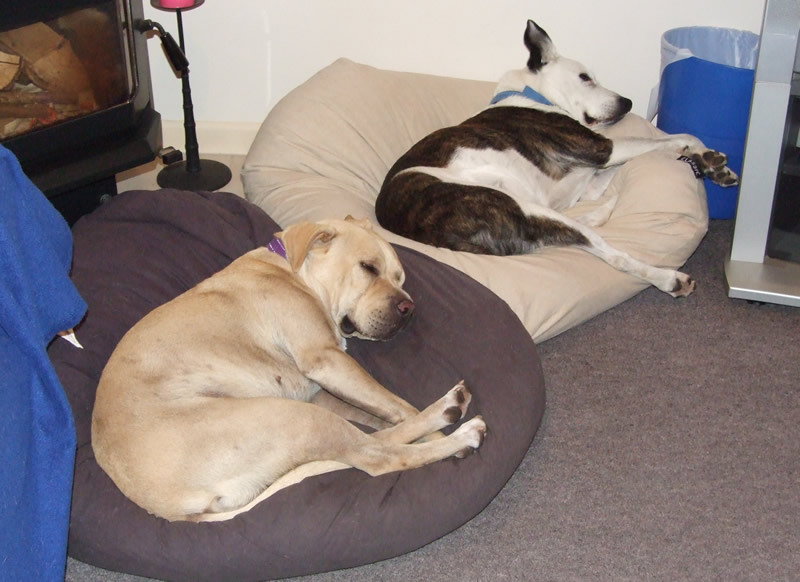 As usual the girls have first dibs and snuggle up as close as they can get! Peter has been doing some overtime and after hours training which will help to pay for him to go to the bonsai convention in Dunedin in October. Maxie had to have another trip to the vets when we discovered another lump – this one on her chest. After the indignity of having part of her chest shaved and a needle stuck in the lump for a biopsy we happily learned that it was just another fatty lump. The trailer, mower and chipper have all had their service so now there’s nothing stopping Peter from getting on with cutting the hedges – apart from the weather. 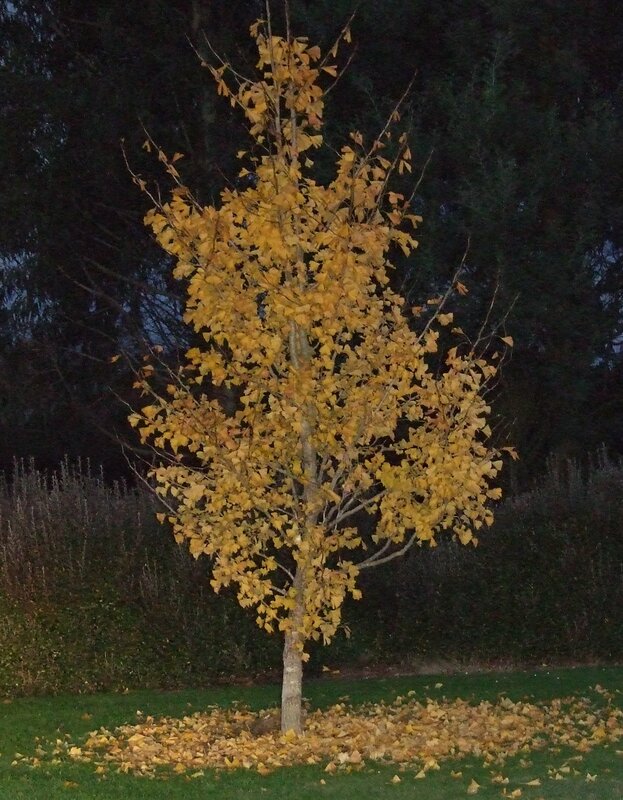 The cold weather has caused one of our Ginkgo’s to show lovely autumn colour (the photo fails to show the beautiful golden tones of the leaves). Ann’s school had their latest ERO inspection (OFSTED to our British readers). The inspectors were very pleased and their report (due next month) should be very positive. 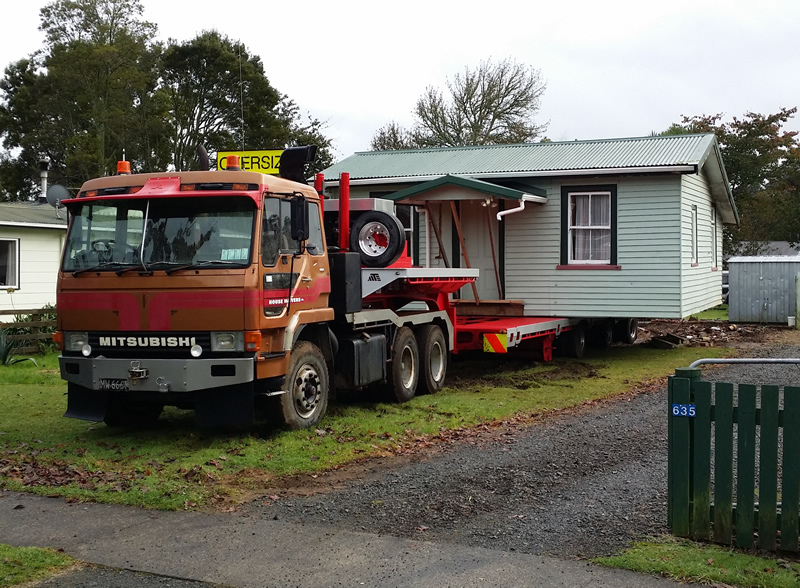 When people say they’re moving house in NZ – they often mean it literally. On our daily Pirongia walk we saw one of the families in the village moving house – as you can see. Peter spent a few hours one Sunday picking up rubbish at a number of beaches around Raglan as part of a works environmental support effort. 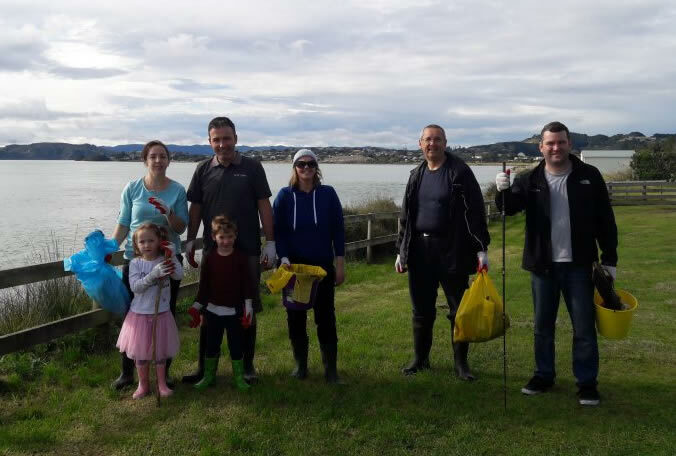 Small groups from the office patrolled three beaches and the harbour, picking up litter before going for a Fish and Chip lunch. Peter skipped the lunch as he had to pick Ann up and go to our monthly bonsai afternoon at Bunnings. 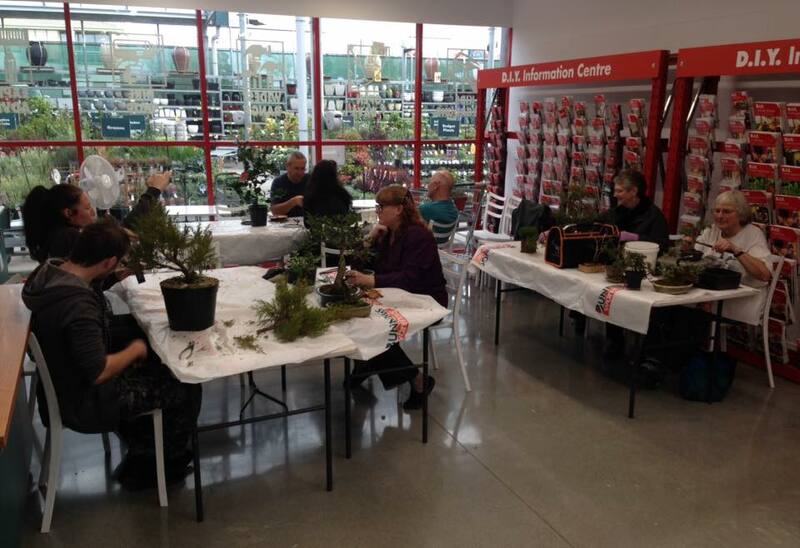 The Bunnings afternoon was one of the busiest ever with several members of the public turning up with trees – wanting help and advice, as well as half a dozen club members. The quarterly ‘Village Voice’ newsletter arrived in our mail box yesterday and it mentioned Ann as a ‘sharp eyed local woman’! 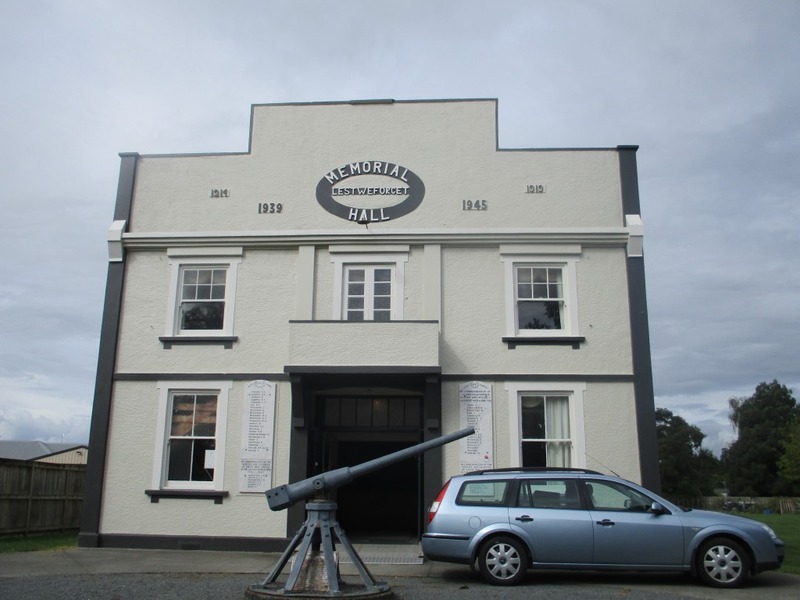 The Pirongia Memorial Hall has dates and plaques containing the names of local Kiwis who served and/or lost their lives in both World Wars. Curiously the dates for WWI are 1914 – 1919. So Ann has been trying to discover why and eventually found a local historian who was able to find out the answer. It turns out that although hostilities ended on 11 November 1918 this was actually only a truce and officially the war didn’t finish until the signing of the Treaty of Versailles on 28 June 1919. 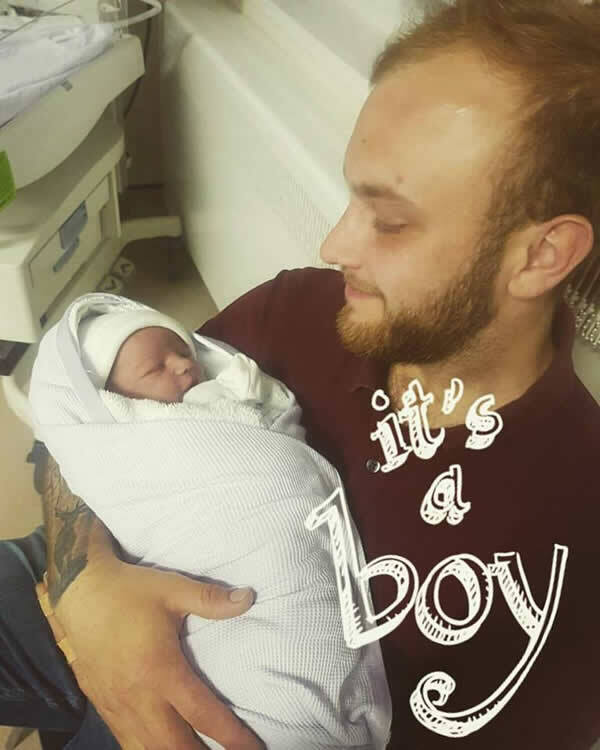 Congratulations to Charlotte, Reece and Aoife, and welcome to Finley John Foxall.